Below, slideshow of official ceremony to mark the commencement of daily Airbus A380 flights between KUL and DXB by Emirates. 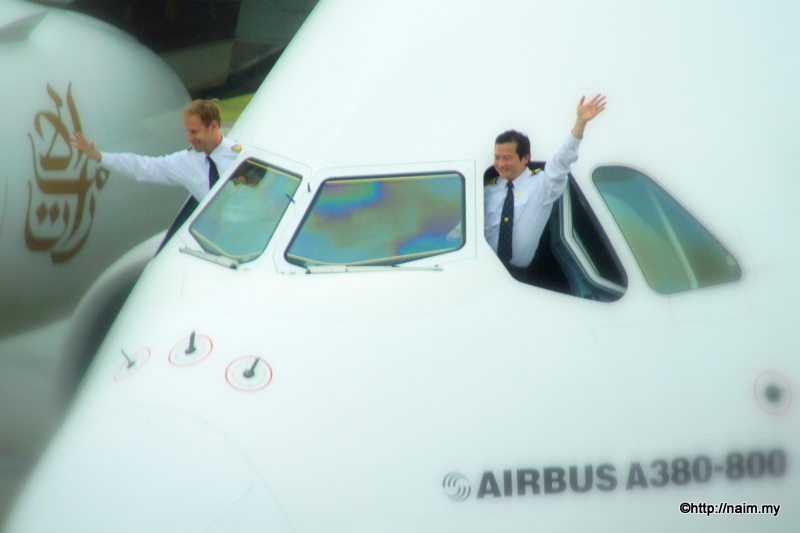 A tour of the impressive plane is also included. Aircraft reg. is A6-EDE. 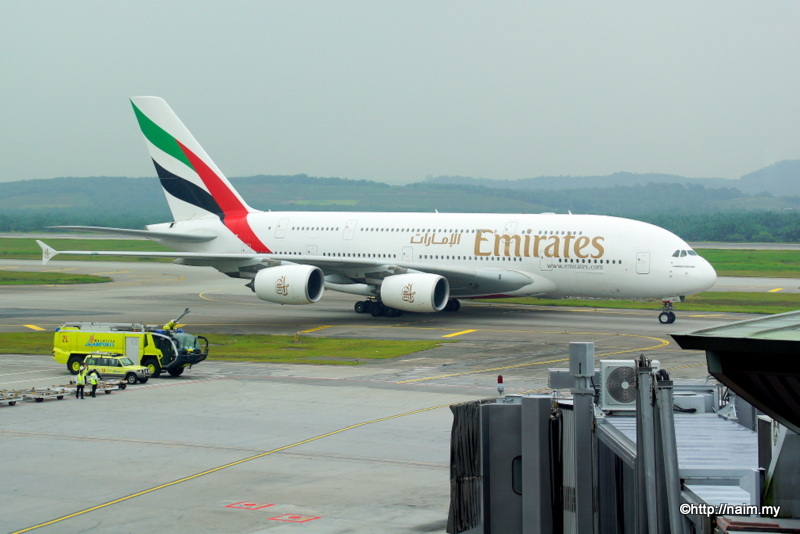 The first Emirates A380 flight from DXB to KUL was operated 11 days earlier, that is on 01/01/2012. This is my footage of the arrival of A6-EDJ — flight EK346 — as it heads for Runway 32R at KLIA.